(i) To determine the number of subnets, use 2^X, where X is equal to the number of bits borrowed. This will give 2^3=8 (the default subnetmask for B is 16 but in this example, we are given /19, meaning that we borrowed 3.) So our number of subnets will be 8. Question one answered. (ii) To determine the number of host per subnet, use 2^Y-2, where Y equals the number of bits off. This will give 32-19=13 (IPv4 is a 32-bit address format and in this example, 19 bits are turned on) Now, that will have 13 off, we will substitute that into the equation, giving us 2^13-2=8,190. We will have 8,190 hosts per subnets (the -2 is for the network and broadcast addresses that we can’t assign to hosts on the networks). I chose /26 because with it, the subnet bit falls into the fourth octet, which will be different from the first example where it fell into the third octet. (ii) How many hosts per subnet? To get this, we use the formula 2^Y-2 where Y equals the number of off bits. This gives us 2^6-2=62 (again, IPV4 is a 32-bit address and we are given /29. That leaves us with 6 bits off). (iii) Block size will be 256-192 which will give us 62. With that, we list our subnets in blocks of 62. 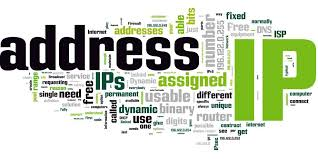 Subnet mask, Slash Notion and Mathematical formula for IP subnetting Made easy. ← Setting Up a Wireless Distribution System.